The Aldelo Touch for iPad has reached end of life. It has been replaced by the Aldelo Express for Restaurants. 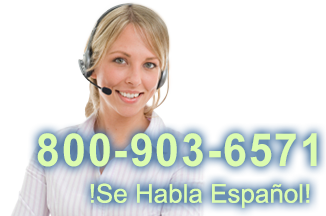 This product replaces the older Aldelo Wireless Edition. 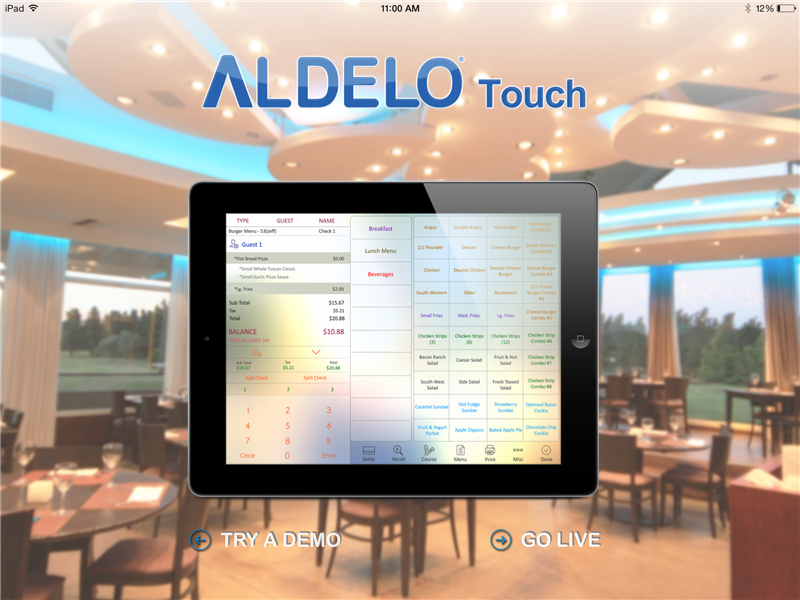 Aldelo Touch for iPad restaurant software is designed to increase the mobility and simplicity of running your business by using your iPad with features and capabilities you expect from Aldelo. 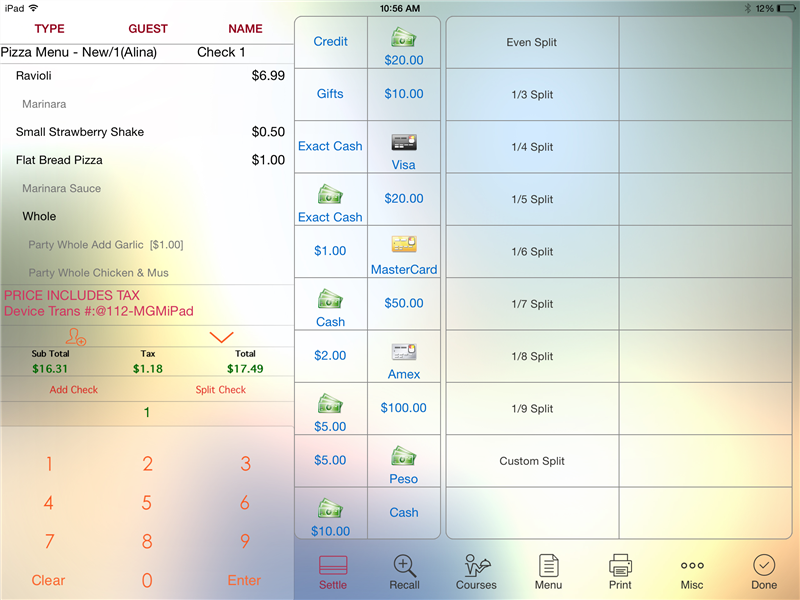 Having your software on a familiar, easy to use iPad significantly simplifies training and ease of use. Supported with 24/7 technical service, user error is easily remedied. 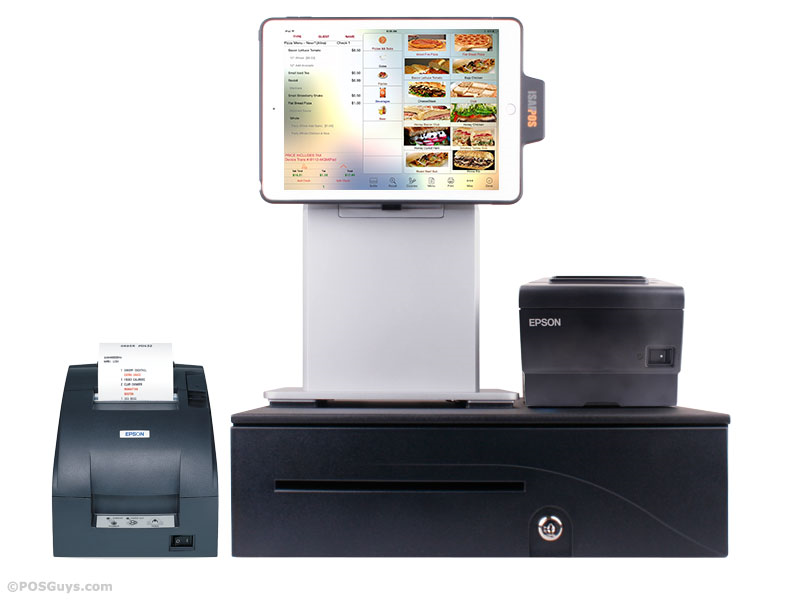 Try as you can, you will not be able to find an affordable restaurant point of sale system as aesthetically pleasing as an iPad. 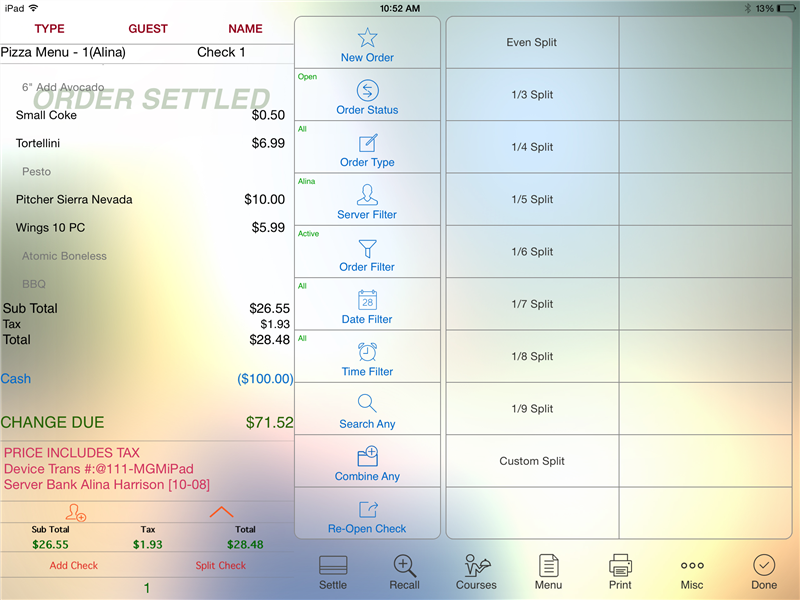 Whether managing outside seating, adding bar purchases to a table tab or tracking delivery orders, having a portable workstation allows you to keep up with your businesses changing needs. You never need to worry if you’re offline or not connected, Aldelo Touch does not stop working for you. Data is automatically synchronized when the network returns. 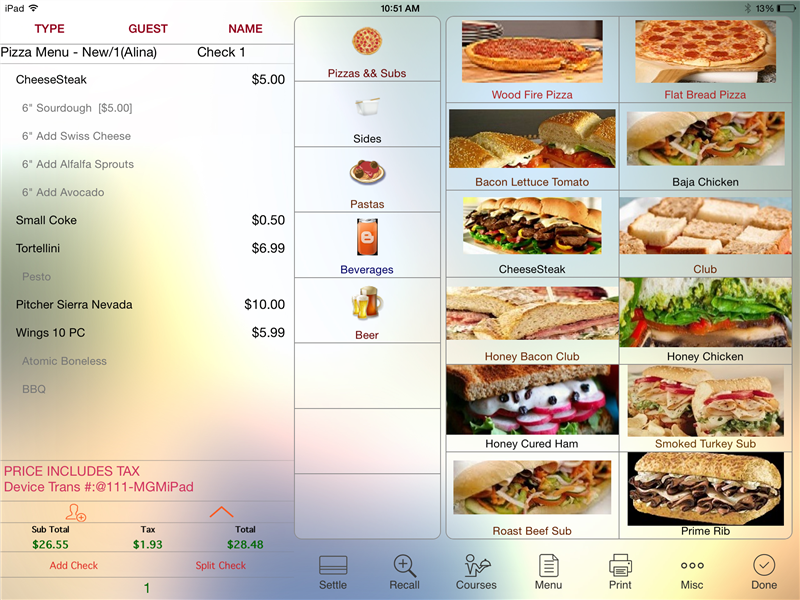 Just as you would expect from Aldelo, Aldelo Touch for iPad also has labor control functions that make everything from punching in to scheduling a breeze. 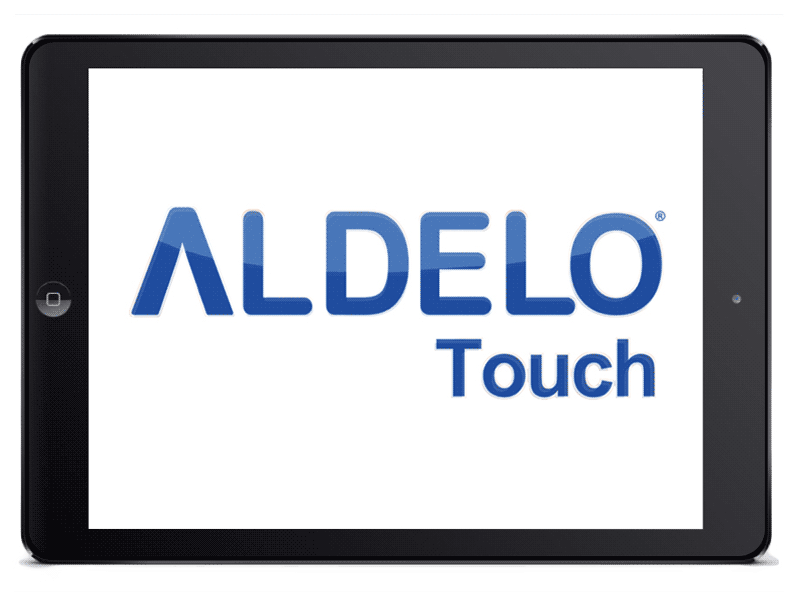 Aldelo Touch is backed by the Cloud to ensure easy access from any web enabled device. EDC credit card reader free with merchant account set-up. What do you need to process credit cards with Aldelo Touch? Aldelo requires a monthly subscription of $49 per ipad, you do not get a discount for additional ipads or for subscribing annually. It has less functionality then the windows version. It has more restrictive credit card processing and hardware options. Aldelo Pro for Windows is a single up front charge and discounted per three or more additional stations. There is a bigger variety of hardware you can pair with it as well as credit card processing options. In the long run the cost savings for the Windows version makes it the more appealing. Find it faster! 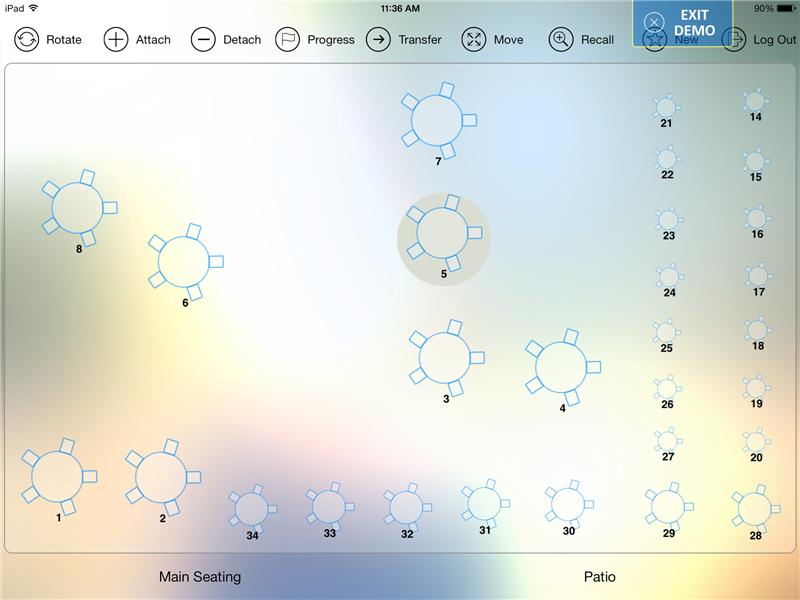 Click here to compare Touch for iPad models by feature.